Trading systems trace their roots all the way back to 1949 when Richard Donchian launched Futures, Inc., one of the first publically held commodity funds, which used set rules to generate buy and sell signals. Obviously, without the internet and computers the systems of the 1950s were much different than today. Back then system developers relied on ticker tape and charting individual markets by hand. A time consuming task for sure, and probably the only time that system trading was literally more of a “art” than a science. However, despite the challenges that early system traders encountered, an idea was born. 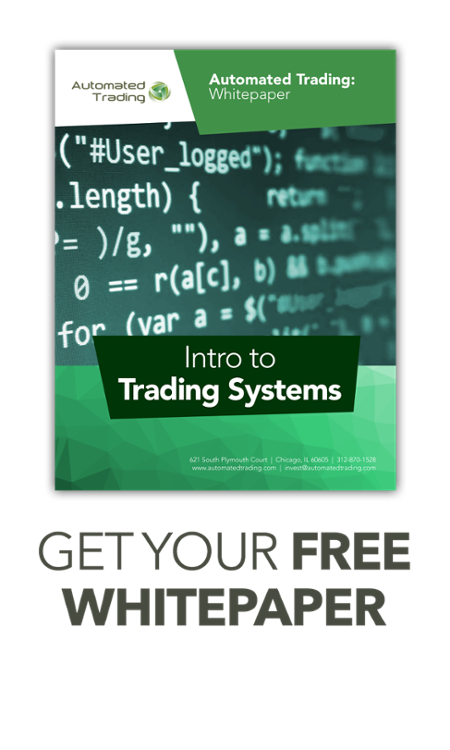 Today, system trading has become the preferred method of trading by banks, CTAs, and individual investors from around the world. The idea of rules based systems trading became more popular amongst traders in the 1980s when famous traders like turtle trader Richard Dennis and Boston Red Sox owner John Henry began applying mathematical entry and exit rules to the commodity markets. As technology improved, the barriers to entry for retail investors to use trading systems became less severe over time. During the mid-1990s some trend following models were made available for purchase as investors could use their own personal computers to crunch data and generate signals before calling their broker with trades for the day. It was not until the late 90s, that the enhancement of the internet allowed traders to begin running systems on live data and generating signals for their accounts in real time. The advent of the Chicago Mercantile Exchange’s emini futures in the late 1990s was the final push for trading systems to enter the mainstream, allowing traders to bypass the trading floor with orders routed to an electronic exchange called Globex. Now, a computer could not just calculate where orders should be placed, but actually place the trade direct on the exchange as well. Trading systems as a standalone investment through your futures broker have partial roots back to Attain Capital’s founding partner Walter Gallwas. In 1998, Walter asked one of his clients, Jack Telford, if Jack would consider allowing some of Walter’s other clients to follow the signals of a trading system Mr. Telford had coded into TradeStation. Mr. Telford said yes, for a small fee – and in doing so the system assist model as it is known today was born. Prior to that, people purchased trading systems and system developers had to support software, build websites, handle payments, and field customer calls. Today, most system-assist business is done via a monthly subscription to the signals, with the client never having contact with the developer of the system.